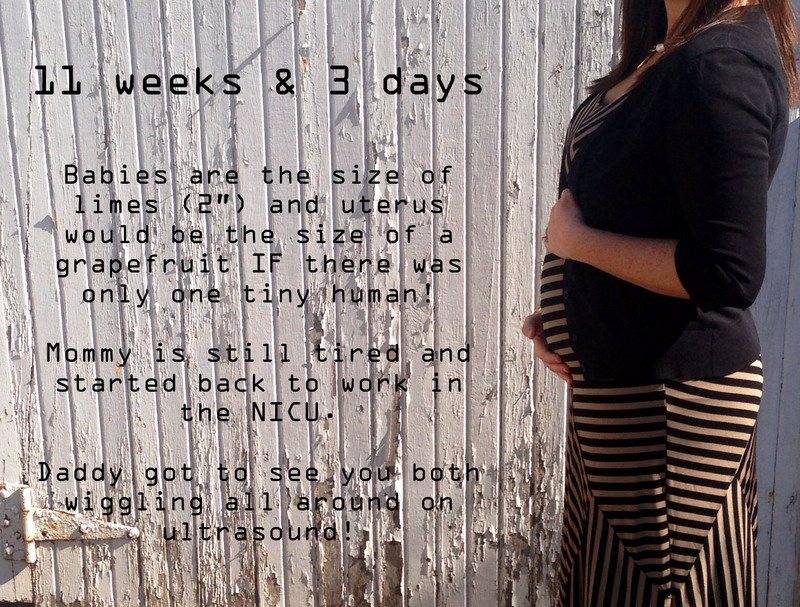 This entry was tagged 11 weeks, infertility, IVF, Twins. Bookmark the permalink. 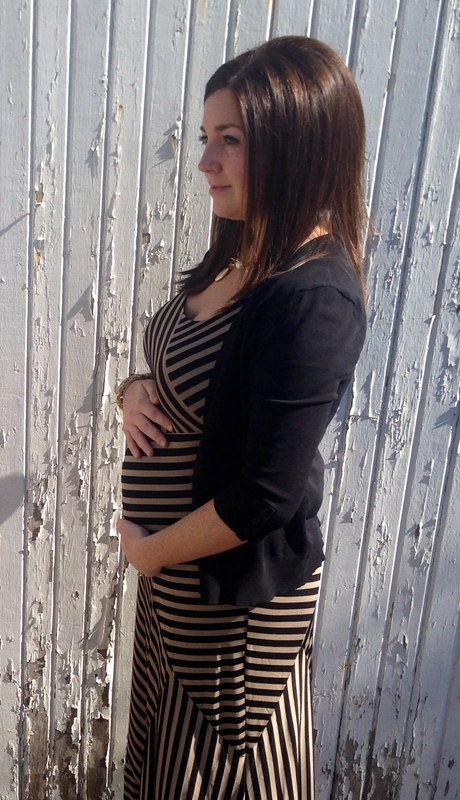 Awww, your bump is adorable (love your outfit too btw)!!! Happy to hear things are going well and hubby got to see babies on the ultrasound! What a great update on your pregnancy! You look amazing! Thanks! Looking forward to your updates!! You look awesome! So happy for you! Congrats! Gorgeous! 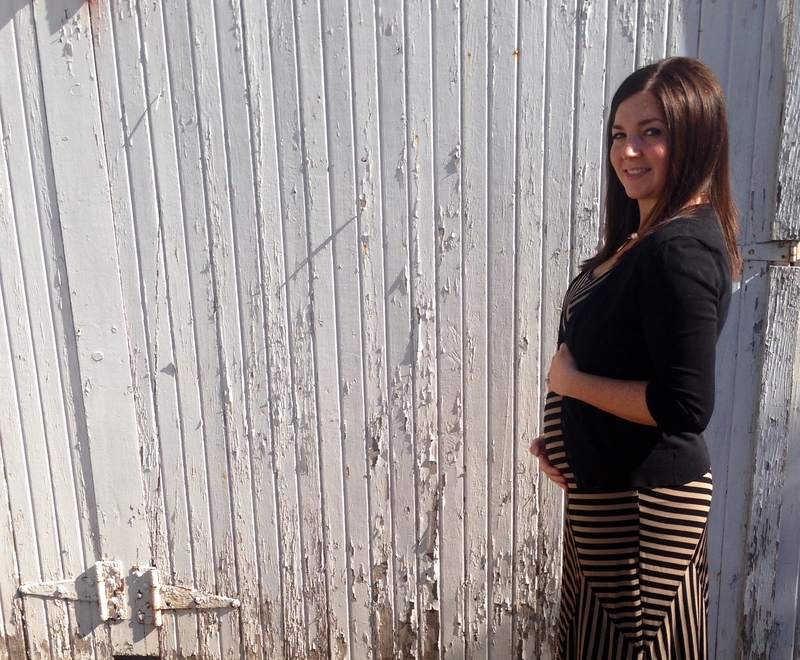 Congrats on graduating to an OB and almost hitting the first trimester. Sending hugs from your bama girls! Wish we were there to help you through it all, but feel a part of it through this blog! You look amazing. Aww! Hugs back! Miss you girls so much! Thanks for the great informative update. You are looking good and that means babies too. Too bad the link for 11 weeks was generic and not of your precious ones. The best to you both on this journey. Love for all of you. Thank you! We are getting more and more excited every day! Love you guys!